Chihuahua-mametaro is the "cooperative" dog the world needs and deserves. Semba lives in Saitama Prefecture in Japan with her dog named Chihuahua-mametaro. They're like most pup/parent duos, except they share one unique hobby. ...and in his spare time, he likes to wear them. Semba said at first she only used the cardboard to write cute messages before she began to get a little more creative. "I gradually started drawing a dog's face, Mickey Mouse and other characters," she told BuzzFeed. 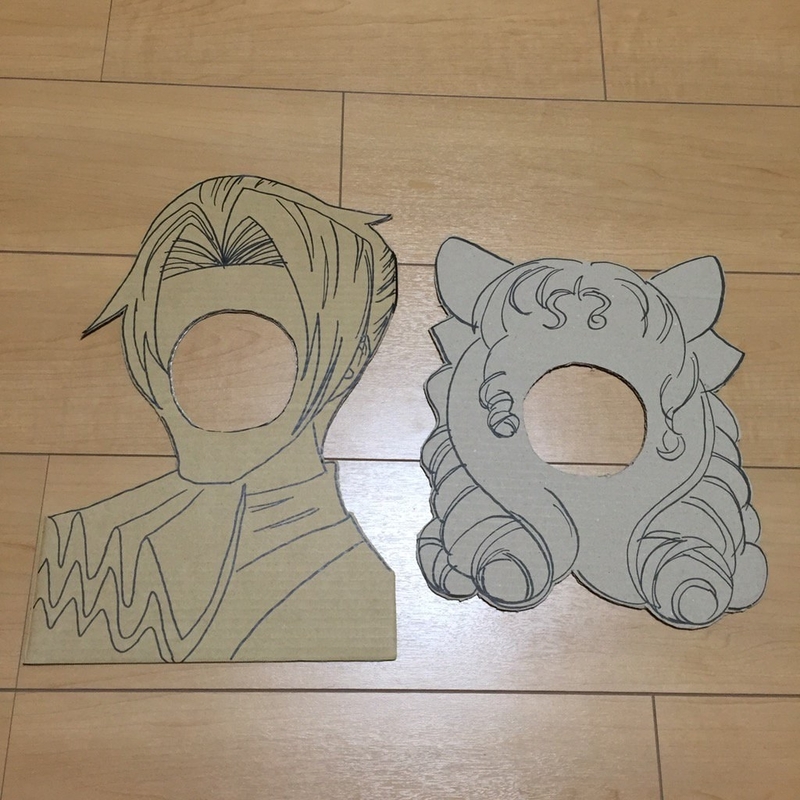 "The designs are based on manga, anime/movie characters, or Japanese playing cards," she explained. "They are things that I like." And soon enough, Semba graduated to even more elaborate designs. 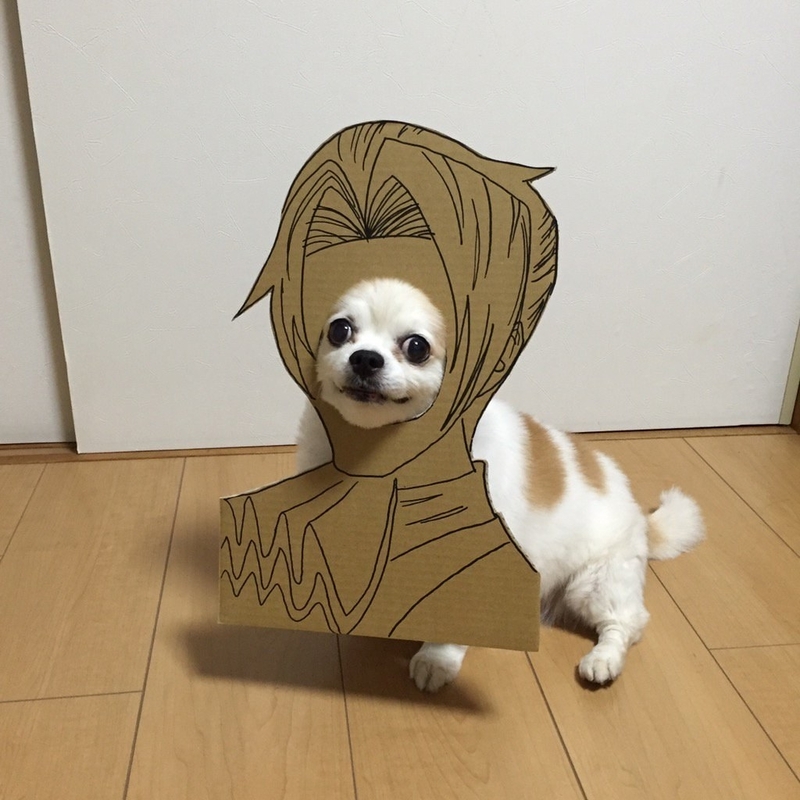 Chihuahua-mametaro is practically a seasoned dog model for haute couture cardboard cutouts. Semba shares these fun and creative moments with her dog on Twitter to a modest amount (about 900 at the moment) of followers. "People laugh when they see these photos," she said. "They also praise the dog, who manages to stay still." "Chihuahua-mametaro is cooperative," she added. "He's usually quiet and kind, so he rarely gets angry at something." 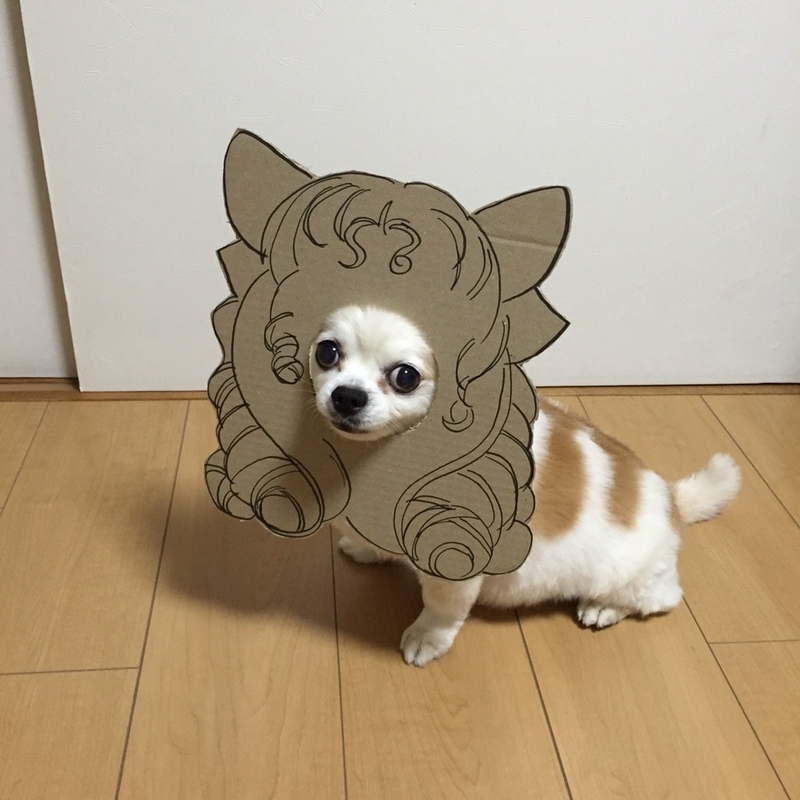 Apparently, when Semba wants Chihuahua-mametaro to pop his little face into the cutout, she tells him to "go home!" And he always does, sometimes with a smile on his face. "The main character is the non-moving dog, and my art skill is secondary," Semba said humbly. But quite frankly, they are both a goddamned inspiration. ...for your right to party. His life motto.